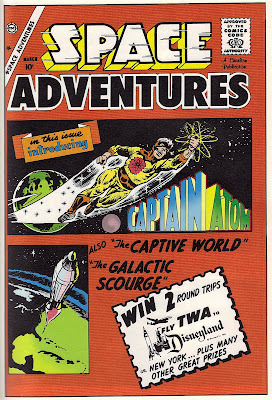 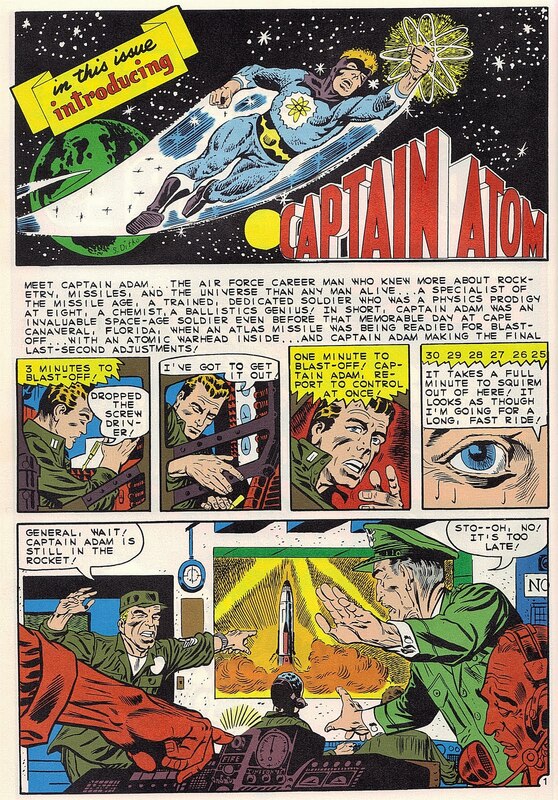 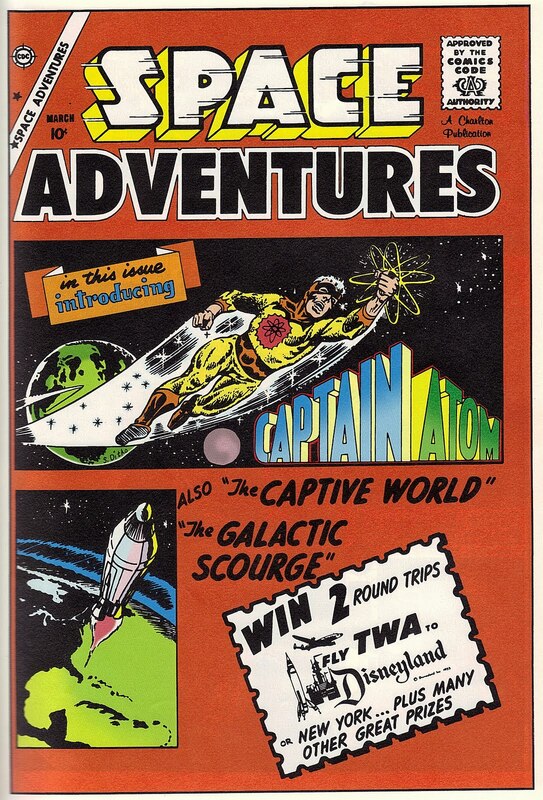 Captain Atom first appeared in Space Adventures #33 in 1960. 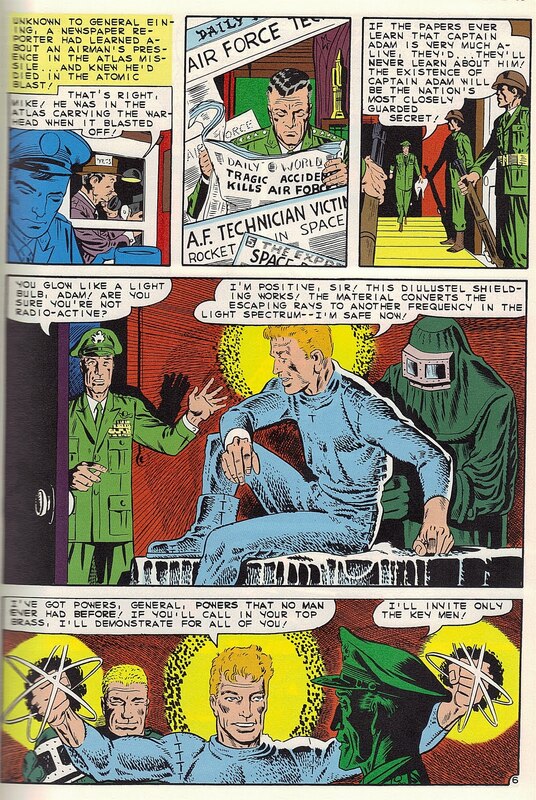 He was created by Joe Gill and Steve Ditko shortly before the latter would go on to co-create Marvel's Spider-Man with Stan Lee. 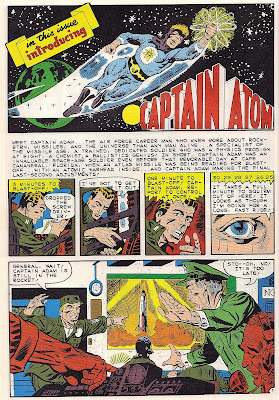 Originally published by Charlton Comics, Captain Atom, along with other Charlton, Quality and Fawcett characters would be added to the DC lineup throughout the 1970s and 1980s. 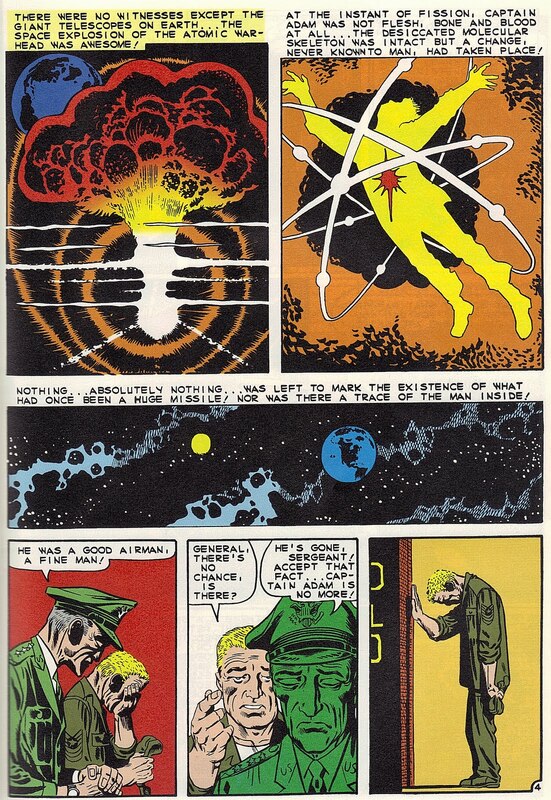 Captain Atom is the inspiration for Dr. Manhattan in the limited series Watchmen by Alan Moore and Dave Gibbons. 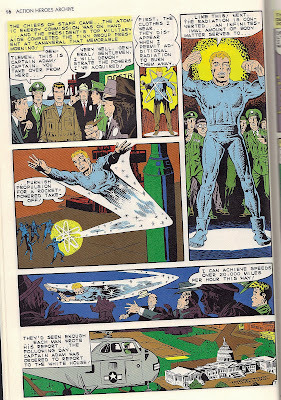 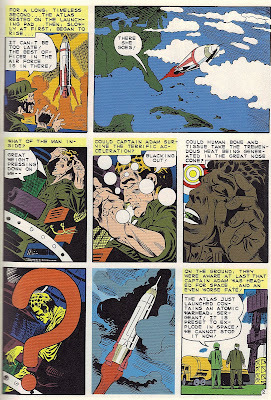 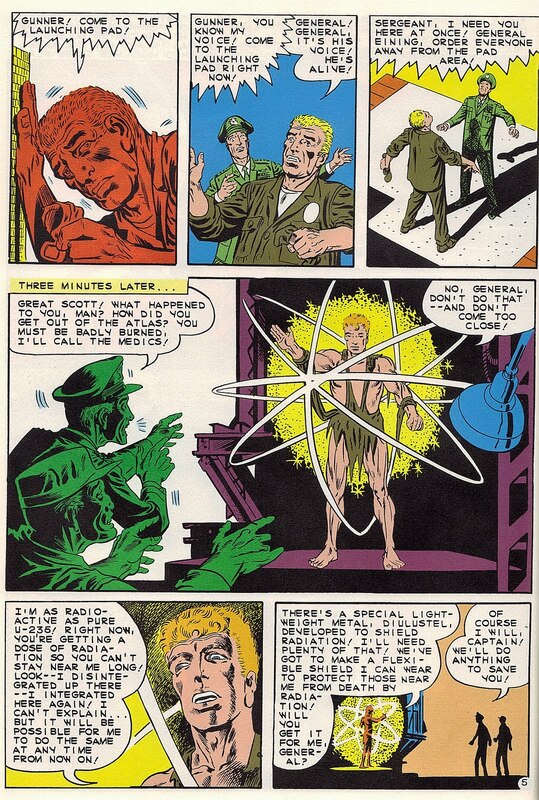 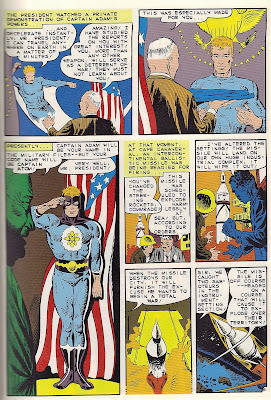 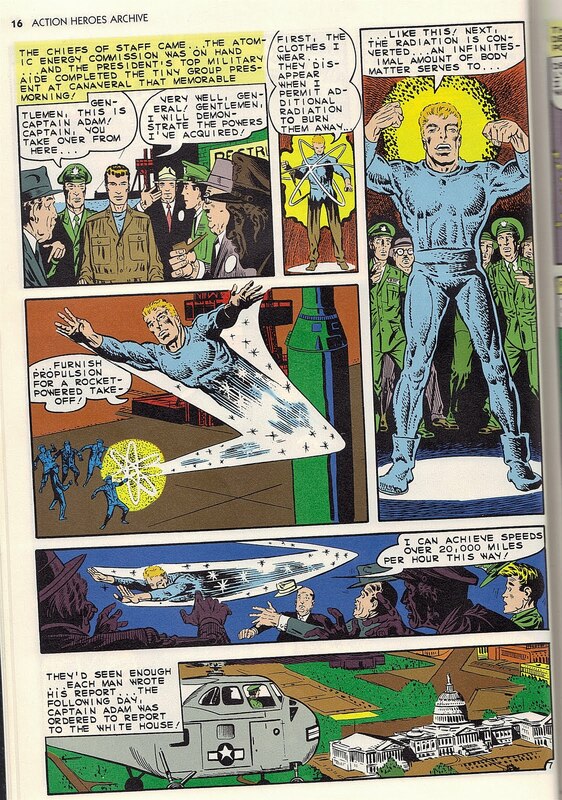 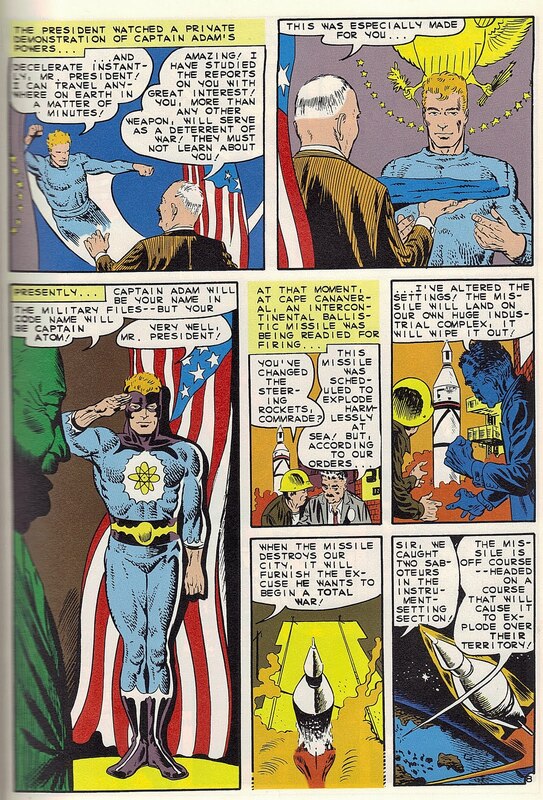 The original plan was to use Charlton characters (Captain Atom, Blue Beetle, The Question, Peacemaker, Thunderbolt and Nightshade) but DC made Moore change it as the series would render those characters virtually worthless so Moore and Gibbons created Dr. Manhattan, Nite Owl, Rorschach, The Comedian, Ozymandias and Silk Spectre. 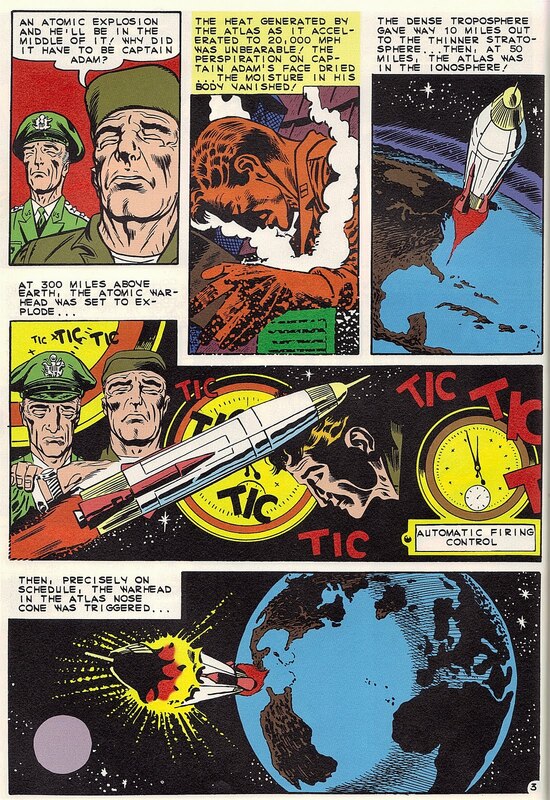 Captain Atom was revived in 1986 and in 1991 it was planned to reveal him as the villain Monarch during the "Armageddon 2001" cross-over but when news of that leaked out, Hawk (of Hawk & Dove) was chosen instead much to the dismay of fans who had evidence that Hawk could not become the villain Monarch. Originally published by Charlton Comics. 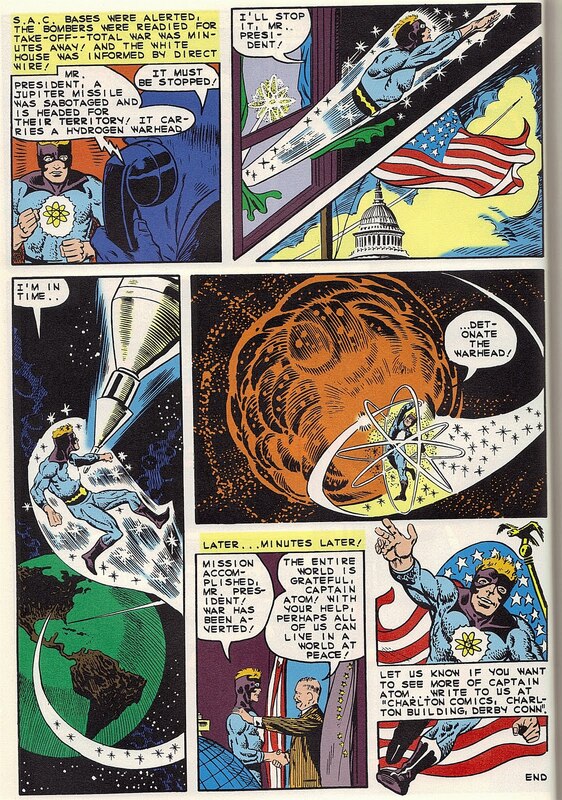 Copyright (C) 1960, 2004 DC Comics, Inc. All rights reserved.